Discussion in 'I Smell Something Cooking!' started by Dan Wilson, Mar 4, 2019. Yup, been using a pour over for a few years now. Works great and very little cleanup. I'm not a coffee drinker but the DW is, so our solution to the boon-docking coffee issue was to get a French Press. The DW had never used one before but now loves it. I have used on for years, one of the most used items back when I backpacked, I still use it when canoe camping, easy and I can make the coffee as strong as I want /need, my Cousin was amazed on our last canoe trip, he had never seen or used one, but is the proud owner of one now. ...cowboy coffee where you just threw the grounds into a coffee pot and brought it to a boil and then settled the ground by dropping a half cup of cold water in the pot. When it's just me, I use a stainless steel Farberware percolator. It's well seasoned, great coffee! If there's a group of us, cowboy coffee I have a large stew pot, rolling boil for 3 minutes, toss in cup of cold water (to knock the grounds down) and your good to go. I usually let it rest for a couple of minutes after rolling boil and ladle out the coffee. Very smooth coffee and no grounds. Buckmaster81 and arge like this. I do pretty often the cowboy coffee in my mug. Get the boiling water, a couple of tablespoons of coffee, wait a minute, add a bit of cold water and here we go. As a matter of personal taste, I don't like to boil the coffee as most of the flavors are gone. Just add coffee in the hot water. My routine is almost the same everyday whereas I am running my 2KW generator each morning to re-charge my off-grid battery bank from its 50% charge state to it's 90% charge state in a three hour generator run time. While doing this I will make my fresh ground and brewed coffee for the day running off the generator. This works out great for us. We bring along the same bottled water just for making coffee taste that we like. 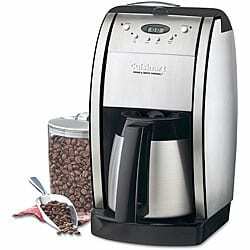 We use the Coleman propane coffee maker. It is just like making coffee at home! Thats a neat design but I agree with some of the others. We carry a small coffee press mainly because we found the pour over to be a little to weak as well. Just a small one we picked up on Amazon. Just boil the coffee on the coleman stove in the morning. One of my favorite YouTube channels is Cowboy Kent Rollins. Aside from all of his great recipes and videos on cast iron/dutch ovens, he just posted an updated video on "How to Make Cowboy Coffee". If it’s just me, a Melitta pour over. IMO, as mentioned previously the keys are the grind and HOT water. 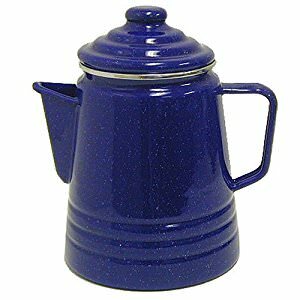 If it’s a group, I’ve got an old fashioned granite percolator. FWIW, my Jetboil came with a French Press plunger. Using a true French Press grind and a slow press, I think it makes a good cup o joe too. We now use pour overs while in the camper, boondocking or not. Regarding water temp, we use this kettle (apparently not available at the moment) with a temperature gauge to indicate when it has reached the (what is apparently considered) the best pour over temp, and find it very convenient. We use this collapsible silicone drip for camping. Space is a premium for us and its much easier to clean that presses or other systems. We usually have limited water with us, so we simply throw the filter and grounds away when done, then rinse this cup out. We've tried all coffee making systems in the field and reverted back to this. We also grind enough coffee at home and bring it along.. I should add, we commonly camp in cooler temps so have a towel along we put over this cup to keep the heat in as it dripped out. Its a large enough a towel to keep the whole thing under it. Good coffee is what its about. We do the stove top percolator.